There is numerous kind of industrial kitchen equipment needed for any commercial establishment but there are many users who must know that the operations of the equipment which are used in the commercial kitchen are completely different from the domestic ones. One of such equipment is a microwave oven. One of the most usual questions asked by the microwave users is an essential difference between commercial and domestic microwaves. It is seen that most of the Kitchen equipment manufacturers design the domestic microwave that can be used for a limited period. Generally, it is seen that on regular intervals they must need to get serviced. But on the other hand, the commercial ones have high durability with definitely superior features. Thus, they are designed using some very high components that can take up a workload better than the domestic ones. 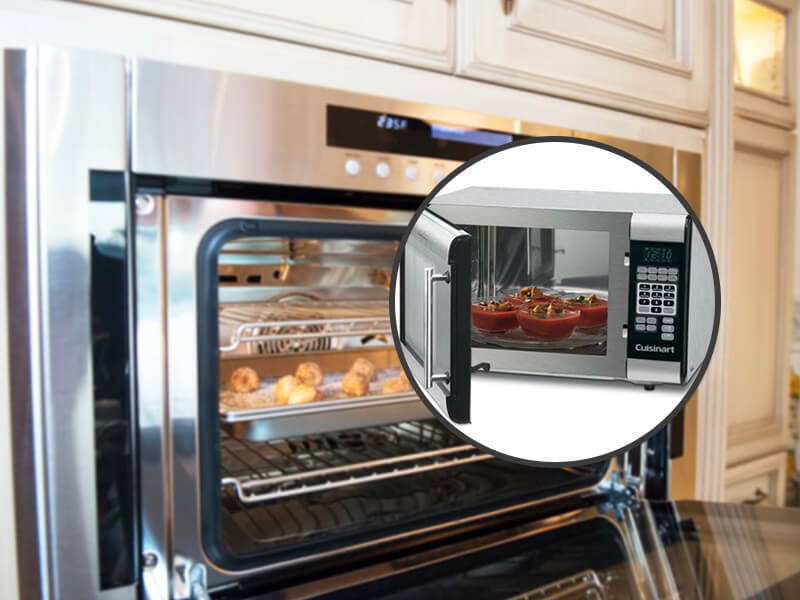 A commercial microwave oven does not include the feature of glass turntables that reduces the normal cavity space. It is important that the entire food must heat uniformly and also the larger dishes do not face problem to rotate. But in the domestic oven user does face this problem because of the glass plate. While commercial ovens contain a ceramic flat base that can be easily cleaned and it also does not limit the usage of the dish. It is often found that most of the commercial kitchen oven are made of stainless steel and also have separate sections for cabinets. As we all know that stainless steel is considered as the best quality for sanitation purposes in a commercial kitchen. Also, it resists the germs to dig in as well as can be easily cleaned. But this exactly does not imply for commercial ovens as most of them are not made of stainless steel. The speed of commercial ovens is much more comparing to domestic micro ovens. Generally, the power of normal ovens in the commercial kitchen starts from 1900 watts compared to 700-900 watts in normal domestic ovens. So, the outlets can save a lot of time and the time gets reduced up to 60%. Obviously, the commercial kitchen outlets always should remember that the customers in their outlet will not wait. If you lose a single customer it will definitely affect your brand. As the benefits are more so the commercial ovens are much more costly than the domestic ovens. But as the domestic ovens need to repair very often so the less cost gets re-occupied. In domestic oven users, most of the time needs to face inconvenience and disruption. Generally, a good quality commercial oven runs at least at a stretch of 5-10 years. Commercial micro ovens are totally operated with different control panels. Thus, the heating or grilling procedures could easily be set up just with the help of a single button. Thus, it not only provides a very fast service but also very convenient to use.